The Davidsonville Athletic Association's boys lacrosse program is designed to meet the needs of every lacrosse player (4 to 15 years old) from beginner to advanced skill levels. Our objective is to introduce lacrosse to players as early as age 4 and to create an environment in which every child can enjoy the love of the game. Our program builds upon the age appropriate skill-set that best suits the needs of each player. DAA’s boys lacrosse program and various offerings are based around the Anne Arundel County Youth Lacrosse Association Spring league. Below is a brief description of our current offerings. For more information on each please follow the appropriate links. Before delving into our various offerings, please take a moment to read our history. You will find we are an organization that has always fostered a tradition of community based lacrosse. 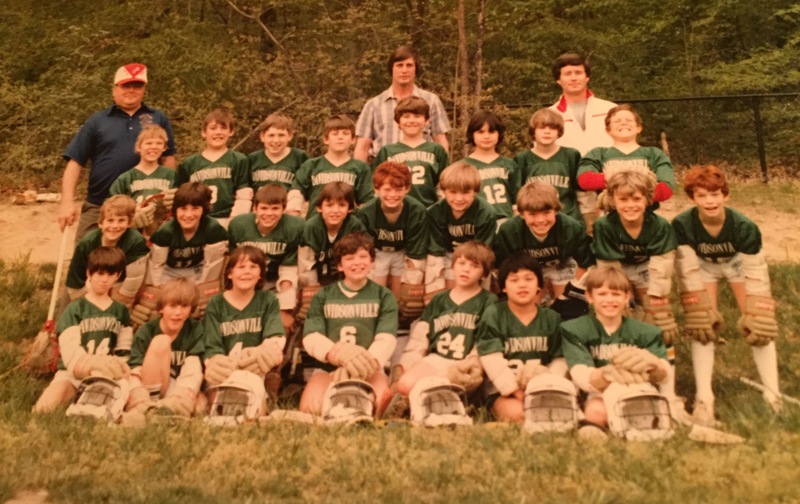 Our deepest gratitude goes to those who came before us and set the foundation and especially to Colleen Leonard who took the time over the past 2 years to contact and interview our founding fathers and recount the story of Davidsonville Boys Lacrosse. It was 1981. Joan Jett sang I Love Rock ‘n’ Roll, Reagan took the oath of office, and Prince Charles married Lady Di. In Davidsonville, 24 soccer players walked onto a field with lacrosse sticks in their hands. That first team of middle schoolers eventually produced college players, All Americans, and a World Team MVP....read full history. "They were soccer players, that first team." What: Boys are evaluated and split into teams based on age groups and skill level. Teams will typically practice at least 2x per week and play at least one game per week in the AACYLA league. What: In-house league. Boys are divided evenly into teams based on skill level. Typically meet 2x per week for practices and games. All games are local (in Davidsonville).